For as long as the profession has existed, the role of the journalist in society has been questioned. As I write this piece, a debate is raging between two internationally recognized journalists, Chris Blackhurst of The Independent and Glenn Greenwald of The Guardian. The new technological age – one of incredible advancements in communication and surveillance technology – has created a fresh paradigm through which to view the profession of journalism. With swaths of information being collected by government spy agencies like the NSA, CSIS and MI5, and the ability of journalists (with the help of hackers and whistleblowers) to get access to those information stores, the question remains: Do journalists have the right or the responsibility to leak potentially dangerous material to the public? What is the role of the journalist in society? 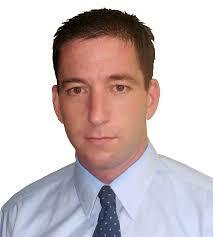 Glenn Greenwald is the journalist who broke the Edward Snowden/NSA story. Greenwald’s dissemination and release of hundreds of thousands of top-secret documents has infuriated governments around the world. Some, like the US and the UK, are fuming that their national security has been put at risk and their ability to fight against Al Qaeda and other threats has been severely compromised. Other countries, such as Brazil, are angered by the realization resulting from the leaked NSA documents that Canada’s intelligence agency has been spying on their mining and energy ministry, in what the Brazilian government alleges to be industrial espionage. Greenwald, then, believes journalists have a responsibility to put information into the hands of the public, for better or for worse. Fair questions. But I have to agree with Greenwald when he argues that Blackhurst has written “the perfect epitaph for establishment journalism.” Subservient establishment journalists are an infection to the profession. They have allowed for and become accomplices in some of the worst government-led operations in history. Whether that be toeing the line of the US government in the early and mid stages of the Vietnam War, or being “a trumpet leading troops to war” as The New York Times was during the lead-up to the 2003 invasion of Iraq, James Moore, writing for the Huffington Post, suggests that secrecy tends to lead to disaster. Who am I to disbelieve them? This is a sentiment that no free-thinking citizen, let alone a journalist for a major newspaper, should ever express. This sentiment goes against everything I believe the profession of journalism exists to undertake; that is, questioning power, its uses, and its abuses. What, then, should be made of the journalists who helped these men leak their country’s dirty laundry? Were they also not “intellectually or morally” capable of making such decisions? Do journalists have the right to bring information to the public interest when national security officials have decided against it? Or do journalists have the responsibility to help protect the secrets of those in power? And if neither citizens nor journalists have the right or the responsibility to put information into the hands of the public, then who does? Rex Murphy and Chris Blackhurst would argue, I suppose, that only those in power have the right to the secrets of power, and everyone else must simply accept this as a fact of life. They must simply make do with what little information is passed along by those authorized to bestow that information upon our subservient little minds. And that, dear reader, is the mantra of the establishment journalist and, if left unchecked, the end of the profession of journalism. Suggest answer is Depends, on Judgement, Potential Impacts (Positive and Negative from what Perspectives), Worthy Objectives, Whose Morality, Trust, Respect.